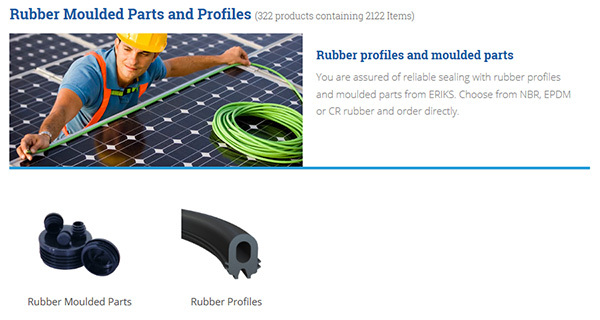 Many ERIKS rubber profiles and moulded parts can be ordered directly in our web shop in various materials. Choose from NBR, EPDM or CR rubber. The ERIKS web shop is available in the United Kingdom, the Netherlands, Belgium, France, Germany and Switzerland.